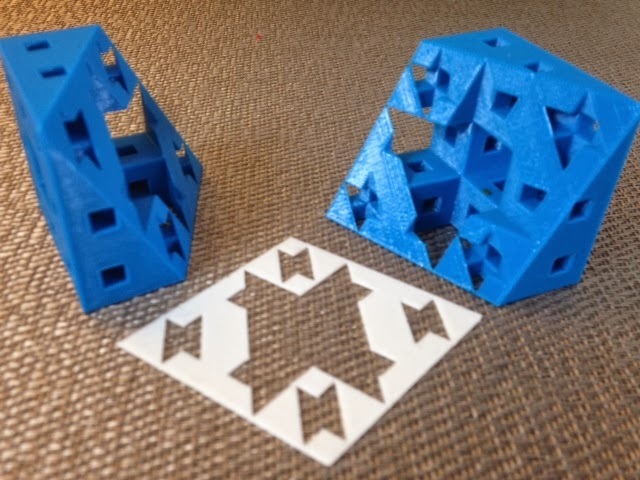 Lots of people know what the inside of a sliced Menger cube looks like, at least the way we sliced it yesterday. 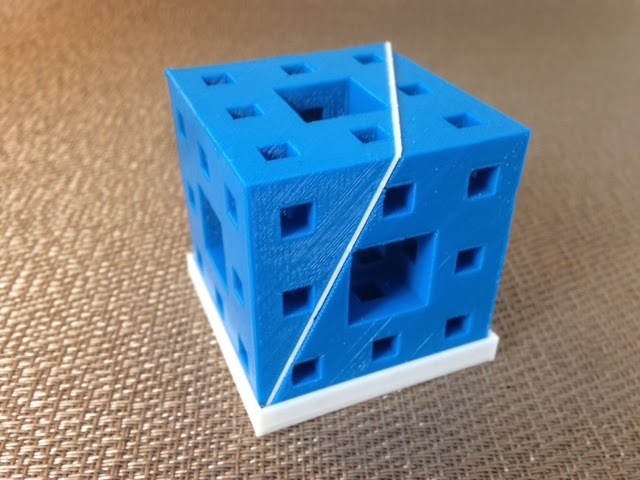 But there are infinitely many ways to slice a cube into two identical pieces, and each one will make a different cross-section with different interior markings inherited from the Menger cube's holes. For example, what does this slice look like? Don't peek at the second picture until you've had a chance to guess! Settings: MakerWare .2mm/standard on a Replicator 2, with no supports and no raft (using owens' stand as part of the model).